A hearing was held Thursday, Sept. 11, at the Edgefield County Court House in regards to the ordered retrial of convicted murderer Steven Louis Barnes. The hearing was presided over by Judge Denise Goodstein who has been appointed to handle this case. The hearing concluded with Barnes being appointed two attorneys to represent him at his future retrial; an attorney from indigent defense and a private attorney of Barnes’ choosing, Jeff Bloom. 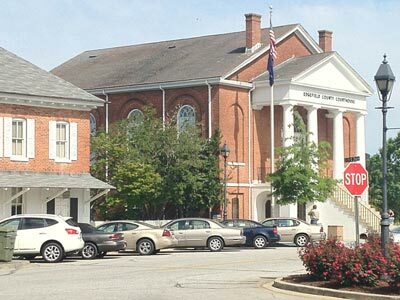 The new layers have asked for time to review this case, so even though Edgefield County has budgeted for the retrial in this year’s budget, it is unlikely it will be held anytime in the near future. The new attorneys mentioned 2016 as a possible retrial date. Solicitor Irvin Maye told The Advertiser in an interview Thursday after the hearing that regardless of when the new trial is set, “We’re ready.” He and Solicitor Donnie Myers, the same pair that convicted Barnes initially, will be prosecuting the retrial, as well. Maye said a different set of 12 people will hear the same evidence as before. Nothing has changed. It is not new evidence or trial error that gained Barnes a new trial. It was his assertion that he had wanted to represent himself in the case and had been denied that right. A South Carolina Appeals Court agreed that Barnes had that right and ordered him a new trial where he could serve as his own lawyer. Now, however, Barnes will have representation from two attorneys. Barnes, along with five others, was convicted in 2011 of the murder of 16 year old Samuel Sturrup. Barnes was sentenced to die for that crime. The prosecution will be seeking the death penalty again in this new trial. Barnes will be kept in incarceration pending his retrial. He is already serving a life sentence in Georgia for charges related to this crime.